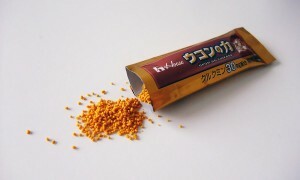 Ukon No Chikara is extracted from the root of the turmeric. This dietary supplement strengthens the liver, stimulates gastric juice production and therefore promotes the breakdown of alcohol. Because of this effect, the day after a party can be started refreshed and worry-free. Thanks to the protective effect of the stomach (especially when consuming alcohol) Ukon No Chikara is highly popular in Japan for many years already. 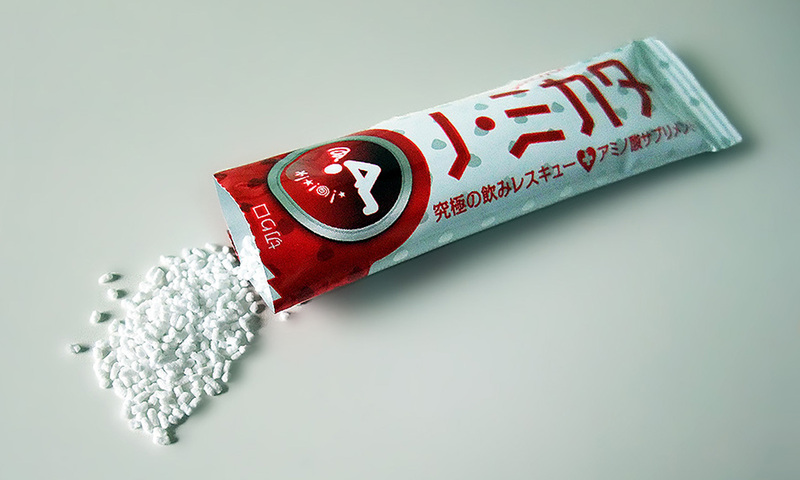 Not only so-called “Kombinis” (convenience stores) and drugstores are selling Ukon No Chikara, even bars and clubs offer the product to help customers getting out of bed easier the morning after. The key ingredient in Nomikata is the extract of “Shijimi” (Japanese for clam). This filtered extract contains numerous amino acids such as Isoleucine, Leucine, Lysine, Methionine, Phenylalanin, Threonine, Tryptophane and Valine. Unlike Ukon No Chikara, which is taken before alcohol drinking, Nomikata will be consumed afterwards. Nomikata’s liver function improving property will promote a quicker recovery from the bad effects of excessive alcohol drinking.